We love Vacation as much as you do and feel that just because you bought a home, doesn't mean you shouldn't get to enjoy a vacation. When you buy or sell your home with Stephanie or Steve Catcher, a Free Cruise is what we give you as a closing gift! That's right, it's not a draw, you don't have to do anything crazy to win it, simply buy or sell your home and we'll give you the cruise. Here are the details or the three cruises you have to choose from. Each Cruise is 5 days in Length aboard a Carnival Cruise Ship! Carnival boasts that they are the fun ships and it's completely true. We can assure that each day aboard the ship you will have an opportunity to partake in some fun one stage events, great excursions at port, on board entertainment including shows and comedians, live bands, a nightclub and so much more! All food and accommodations are covered during the cruise and are top notch. While the Catcher Team gives the cruises year round, they can only be used between September and February, which is a great time for Canadians to get away. Each cruise certificate entitles you a 2 person room, airfare and port taxes are not included in this offer. If you are worried about cruising alone, or think it's more fun with more people like we do, then simply wait and join us aboard our Annual Catcher Cruise! The next Catcher Cruise sets sail in 2018! 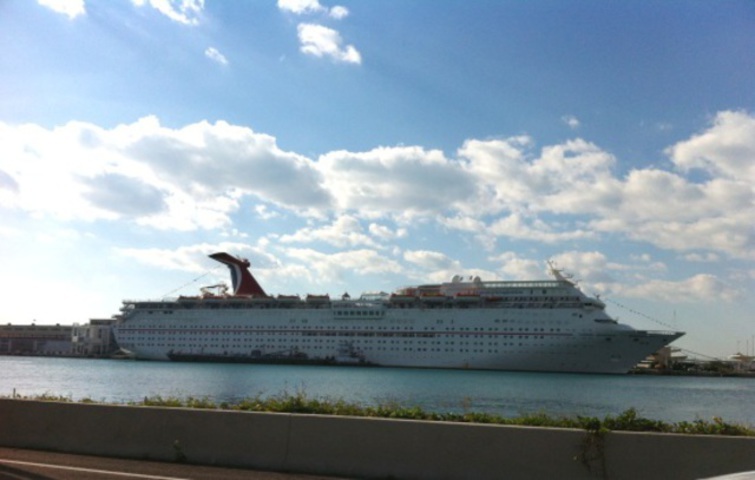 Don't forget to check out all our cruise photos from 2012 and 2011 too!